The ecommerce juggernaut has its Prime members to expect two-day shipping, or less, even on Christmas. But a hurricane is different. STUART, Fla. — Amazon, which has trained all of us to expect packages delivered in two days or fewer, has finally met its match — Hurricane Irma. 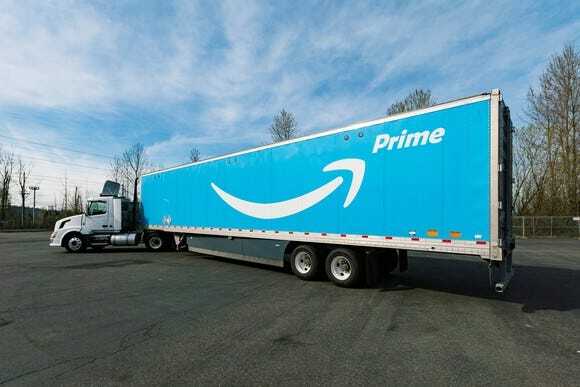 Florida residents have been receiving cancelation notices from Amazon, due to the severity of the hurricane, and Amazon isn't saying when it will be able to follow through with delivery. More than half a million Florida residents are being asked to evacuate, and the ones who are staying behind are desperate to get water and food. Many turned to what's become the go-to source for them — Amazon, where a $99 yearly subscription gets them guaranteed two-day delivery. "Due to severe weather conditions as a result of Hurricane Irma, deliveries are experiencing delays," said Amazon in a statement. "We apologize for the inconvenience." Google Express, the shopping delivery service started by Amazon's rival, is also pulling back. "Due to inclement weather in Florida, you may see limited deliveries and delays," said Google on its website.